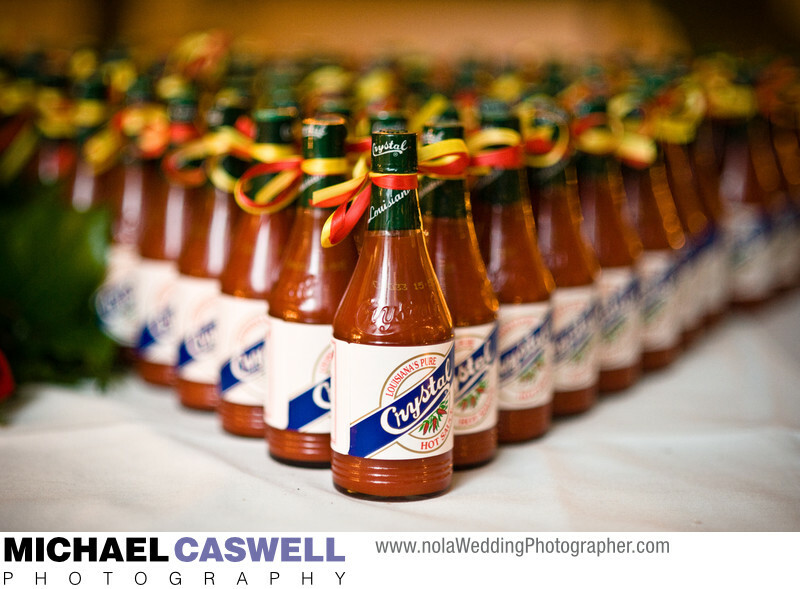 Crystal Hot Sauce, manufactured right here in Louisiana by local family-owned company Baumer Foods, makes a wonderful wedding gift for your guests, especially those from out of town who will undoubtedly enjoy bringing home a little taste of New Orleans to spice up their meals. Tabasco Sauce, Hubigs Pies, and pralines (a traditional New Orleans creole confection, made with brown sugar and pecans) are other great choices as favors. This wedding reception took place at the Saint Louis Hotel, which is now known as Hotel Mazarin, in the French Quarter. Location: 730 Bienville St, New Orleans, LA 70130.